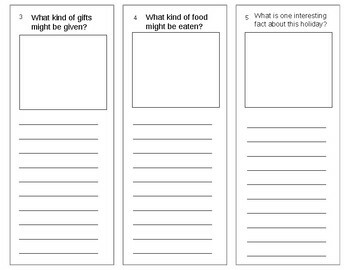 Use this brochure as a small research project for your elementary level students. 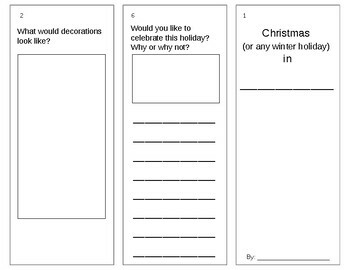 They can choose a country and explain how Christmas (or another winter holiday) is celebrated there. Each section of the document is labeled with the type of information they should write, and most have a small space for a picture.